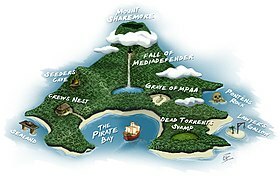 The Pirate Bay (sometimes abbreviated to TPB) is an online index of digital content of entertainment media and software. Founded in 2003 by Swedish think tank Piratbyrån, The Pirate Bay allows visitors to search, download, and contribute magnet links and torrent files, which facilitate peer-to-peer (P2P) file sharing among users of the BitTorrent protocol. In April 2009, the website's founders (Peter Sunde, Fredrik Neij, and Gottfrid Svartholm) were found guilty in the Pirate Bay trial in Sweden for assisting in copyright infringement and were sentenced to serve one year in prison and pay a fine. In some countries, Internet service providers (ISPs) have been ordered to block access to the website. Subsequently, proxy websites have been providing access to it. Founders Svartholm, Neij, and Sunde were all released by 2015 after having served shortened sentences. The team behind The Pirate Bay has worked on several websites and software projects of varying degrees of permanence.In 2007, BayImg, an image hosting website similar to TinyPic went online in June. Pre-publication images posted to BayImg became part of a legal battle when Conde Nast's network was later allegedly hacked. In July, "within hours after Ingmar Bergman's death", BergmanBits.com was launched, listing torrents for the director's films, online until mid-2008. In August, The Pirate Bay relaunched the BitTorrent website Suprnova.org to perform the same functions as The Pirate Bay, with different torrent trackers, but the site languished; the domain was returned to its original owner in August 2010, and it now redirects to TorrentFreak.tv. Suprbay.org was introduced in August as the official forum for ThePirateBay.org and the various sites connected to it. Users can request reseeding of torrents, or report malware within torrent files or illegal material on ThePirateBay.org. BOiNK was announced in October in response to the raid on Oink's Pink Palace, a music-oriented BitTorrent website. A month later Sunde cancelled BOiNK, citing the many new music websites created since the downfall of OiNK. A Mac dashboard widget was released in December, listing "top 10 stuff currently on TPB, either per category or the full list". SlopsBox, a disposable email address anti-spam service, also appeared in December, and was reviewed in 2009. 1 2 Russon, Mary-Ann (23 May 2016). "Pirate Bay loses hydra and .se domains, returning to original .org address following legal challenges". International Business Times UK. Retrieved 25 May 2016. ↑ "Thepiratebay.org Site Info". Alexa. 18 February 2019. Retrieved 20 February 2019. ↑ "Pirate Bay hit with legal action". BBC News. 31 January 2008. ↑ Ricknäs, Mikael (11 March 2010). "Pirate Bay Appeals Looks Set to Start in September". PC World. Archived from the original on 3 June 2016. 1 2 3 4 Gibbs, Samuel (2 June 2015). "Last remaining Pirate Bay founder freed from jail". The Guardian. ↑ Peckham, Matt (12 August 2013). 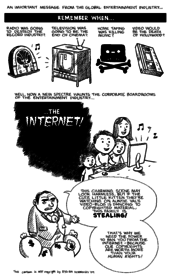 "How The Pirate Bay's Anti-Censorship 'PirateBrowser' Works". Time. Retrieved 10 December 2014. ↑ Murphy, David (31 January 2015). "The Pirate Bay Returns, but What About its Staff?". PCMag UK. Retrieved 21 October 2016. ↑ Lindvall, Helienne (5 February 2013). "Pirate sites are raking in advertising money from some multinationals". The Guardian. Retrieved 21 October 2016. ↑ "Pirate Bay guilty". The Local. 17 April 2009. ↑ Devlin, Rita (26 November 2010). "Prison terms of Pirate Bay executives' shortened". Agence France-Presse. Archived from the original on 28 November 2010. Retrieved 26 November 2010. ↑ Bilton, Nick (10 August 2013). "The Pirate Bay Offers Web Browser to Avoid Censorship". The New York Times Blogs. Archived from the original on 11 August 2013. Retrieved 10 August 2013. ↑ Google Joins Piracy Purge, Pro-Pirate Bay Apps Booted From Play Store Archived 16 August 2015 at the Wayback Machine. Retrieved 9 December 2014. ↑ "Hovrätten: Piratebay.se ska ägas av staten – DN.SE" (in Swedish). 12 May 2016. ↑ "Court Orders Pirate Bay Domains to be Forfeited to the State". TorrentFreak. 12 May 2016. ↑ Van Der Sar, Ernesto (14 August 2016). "Pirate Bay is The King of Torrents Once Again". TorrentFreak. ↑ McEntegart, Jane (21 April 2009). "Pirate Bay: No Donations! We're Not Paying". Tom's Hardware. Retrieved 10 November 2017. ↑ As of July 2010[update] Slopsbox is offline. ↑ "Pirate Bay starts video streaming". BBC News. 29 June 2009. ↑ Neal, Dave (16 January 2012). "Pirate Bay offers artists promotion". The Inquirer. Archived from the original on 22 April 2014. ↑ Flood, Alison (1 February 2012). "Paulo Coelho calls on readers to pirate books". The Guardian. Archived from the original on 6 July 2013. ↑ Van Der Sar, Ernesto (2 December 2012). "UK ISPs Block Pirate Bay's Artist Promotions". TorrentFreak. Archived from the original on 22 April 2014. ↑ Stroumboulopoulos, George (16 January 2007). "Prince of Sealand". CBC News. The Hour. Archived from the original on 18 August 2009. ↑ Norton, Quinn (16 August 2006). "Secrets of The Pirate Bay". Wired.com. Archived from the original on 16 March 2013. Retrieved 1 October 2008. ↑ Sarno, David (29 April 2007). "The Internet sure loves its outlaws". Los Angeles Times. Archived from the original on 21 August 2011. Retrieved 28 September 2008. ↑ Van Der Sar, Ernesto (22 December 2007). "MediaDefender Stock Plunges Due to Leaked Emails". TorrentFreak. Archived from the original on 22 April 2014. Retrieved 28 September 2008. 1 2 3 4 Van Der Sar, Ernesto (1 November 2018). "The Pirate Bay Remains Mysteriously Inaccessible to Many". TorrentFreak. Retrieved 9 November 2018. ↑ Van Der Sar, Ernesto (8 January 2013). "Censoring Pirate Sites Doesn't Work, Researchers Find". TorrentFreak. Archived from the original on 22 April 2014. ↑ Username: Enigmax. "Pirate Bay Enjoys 12 Million Traffic Boost, Shares Unblocking Tips". TorrentFreak. Archived from the original on 22 April 2014. ↑ Halliday, Josh (18 May 2011). "Google boss: anti-piracy laws would be disaster for free speech". The Guardian. ↑ "Unik dom: Bredbandsbolaget måste blockera piratsajter". Aftonbladet (in Swedish). Retrieved 18 August 2017.